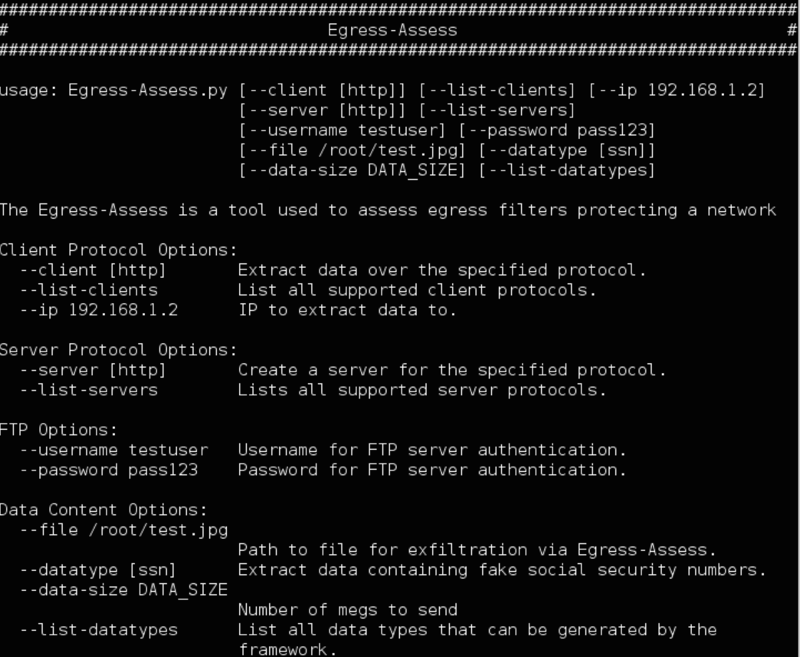 Since its creation, Egress-Assess’s primary use-case has been to generate faux data, such as social security numbers, and attempt to exfiltrate that data over a variety of different protocols. It’s use is both for pen testers and blue teamers that are trying to gauge whether or not an/their organization can detect sensitive data that is egressing their network boundary. Data loss can have a huge impact on customers, just read any major breach in the past 12 months. Social security and credit card numbers are great for a quick demo, but sometimes real data is needed to demonstrate impact. Both Steve (@424f424f) and myself recognize this, and are happy to say we’ve added in the ability to exfiltrate real files with Egress-Assess. Why did this feature get added in? Our threats are doing this, that’s why. Hacking into companies isn’t just about getting shells anymore. Attackers are breaking into companies to steal their data. This threat is real, and as professional pen testers/red teamers, we should be looking to emulate the threats that our customers are facing. Evolving our tradecraft to include data exfiltration testing can directly give value to our customers. When we can point to the fact that 7 gigs of credit card numbers were exfiltrated from our customer’s network and not a single one was detected, then we can show exactly where they need to improve upon. Nearly all modules currently support DNS file transfers. The only modules which still requires an update is the dns_resolved module, however dns (straight) does support file transfers, and transfers over DNS in powershell. The difference between the two is dns_resolved uses recursive lookups to transfer file data, and dns (straight) points DNS packets directly to the DNS/Egress-Assess server you specify. Packets sent are sent with the Packet number, a delimiter (“. :|:.”), and then file data. All of this information is base64 encoded. The server receives the packet, ensures it matches the above layout, and then responds with the packet number that was received, and the string “allgoodhere”. If the client/sender receives the response packet, move on to sending the next packet. If no response is received within 2 seconds, retransmit. Sends a DNS TXT packet with the string “ENDTHISFILETRANSMISSIONEGRESSASSESS” which is concatenated with the name of the file that is being transferred. 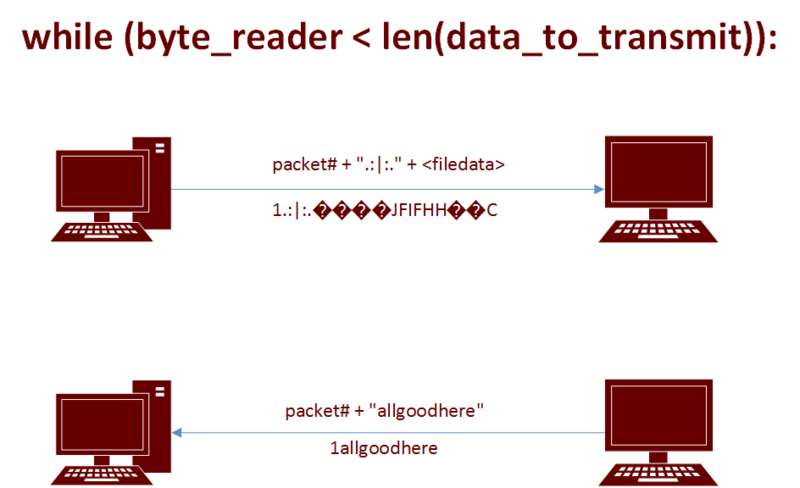 The server receives the end packet, and writes out the data received throughout the transmission, in order, to the filename received in the end transmission packet. We developed the client and server to speak in this manner to ensure all data is received, and will be written out in the proper order. A quick md5sum test shows that we actually have recreated the same exact file on the server that was sent over DNS. I hope this helps explain DNS transfers, and everything in this latest release of Egress-Assess. If anyone has any questions, feel free to hit me (@ChrisTruncer) or Steve (@424f424f) up on twitter or in #Veil on freenode! Great tool, Im planning on use it.. I think it a nice option would be to add the –port parameter so you can choose where to run the service besides the defaults ports. I may at some point look into adding that to it, however I currently wanted it to test sending out traffic over standard ports. I wanted these to be as protocol compliant as possible, so that’s why it is designed as is currently. Thanks for a great tool again.